The government of Fiji has recently introduced their own series of silver coins, which are manufactured by Argor Heraeus in Switzerland. 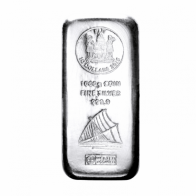 Unlike most silver coins, these coins are in the shape of an ingot, and come in a range of sizes, from 100 grams to 1 kilogram. 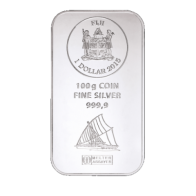 A 100 Gram Fiji silver bar has a face value of 1 Fijian Dollar. 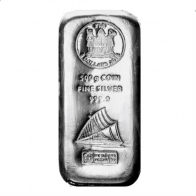 These silver bars are available for VAT-exempt storage in Switzerland or for worldwide delivery.